This publication commemorates the completion of Swami B. P. Puri's Samadhi Mandir in Mayapur, India and was released in conjunction with the inauguration of the temple. This publication commemorates the completion of Swami B. P. Puri's Samadhi Mandir in Mayapur, India and was released in conjunction with the inauguration of the temple. 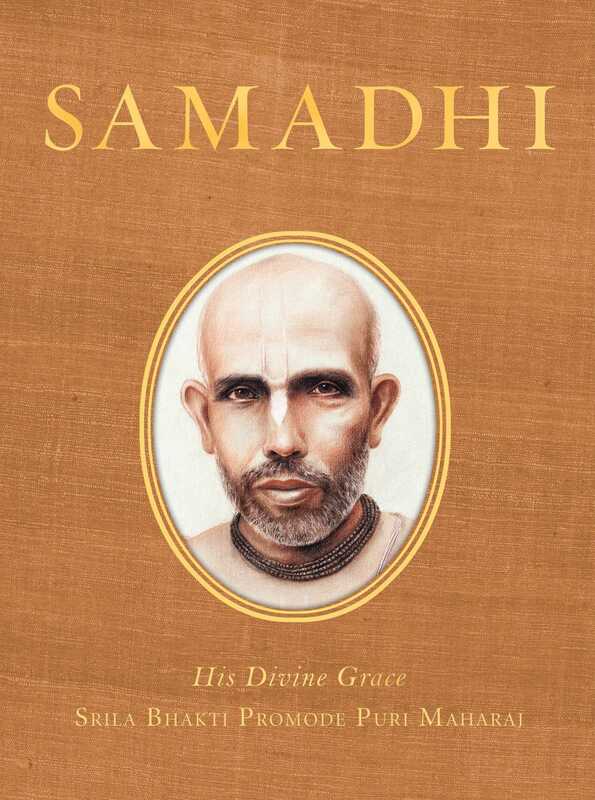 Samadhi includes chapters on “Chanting Inattentively,” “Spiritual Entry into the Holy Dham,” and “Transcending Duality through Service to the Lord.” The book also includes an article by Swami B. B. Bodhayan, detailing Swami B. P. Puri’s auspicious advent and boyhood pastimes.